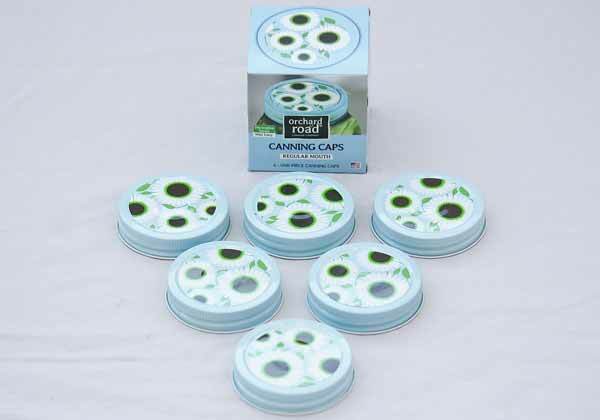 6 wild daisy one piece canning jar lids for capping regular mouth jars. These jar lids will add Spring time decoration to your jams and jellies. Decorative mason jar lids show off your tasty preserves. Made in the USA!